*Disclaimer: we do not buy or sell leads. This page is an overview of the debt settlement lead generation industry. The average U.S. household owes $7,281 in credit card debt. However, if you only take into account households that are in debt, that average jumps to $15,609. We can take this one step further. Including credit cards, mortgages and student loans, Americans owe approximately $12 trillion in debt, an increase of 2.6% from last year. It’s safe to say that debt is extremely prevalent in the U.S. This also means that the debt industry is massive. People need help managing their debt, which plays right into the hands of debt services and the companies that provide them leads. There are several ways to manage debt. Some opt for debt consolidation or go the opposite route by declaring bankruptcy. However, one of the most common routes is debt settlement. 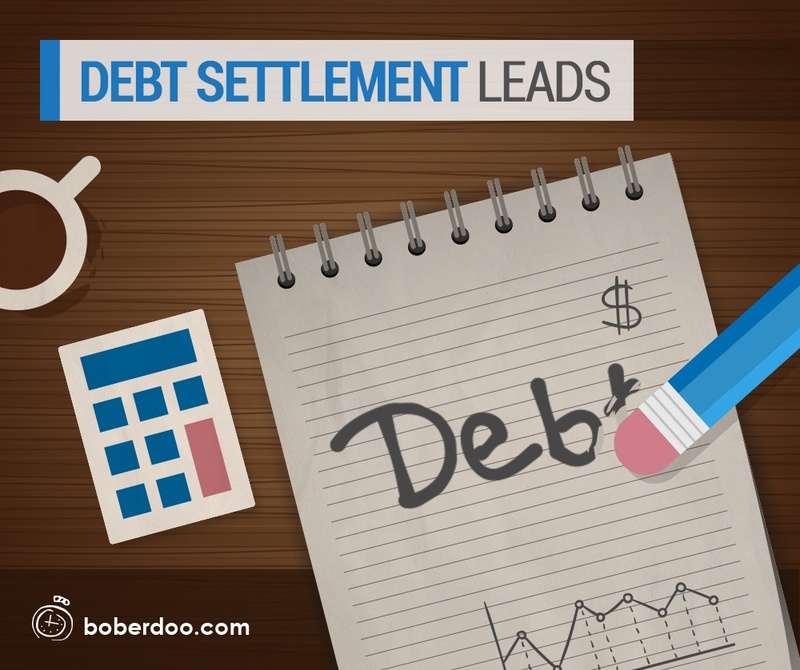 Based on the number of boberdoo clients that sell debt settlement leads, debt settlement appears to be just as popular as a lead vertical. One important thing to note is that there is a large variance in the quality of lead vendors providing debt settlement leads. While there are certainly many businesses generating high quality, real-time leads, there are also many that sell much lower quality leads. It is important to always test out new vendors before completely committing to their leads and selling them to your buyers. Generating and selling debt settlement leads works the same as most lead verticals. Some generate their leads in real-time while others make outbound calls and either transfer the live lead or submit a voice to data lead. Additionally, the debt settlement lead form is typically short and uncomplicated unless custom questions are asked. In order to sell debt settlement leads in real time, you need a lead distribution system that handles all tracking, segmentation and distribution of each lead. boberdoo is a leading provider of lead distribution software. Our complete back-office solution comes standard with all the features you need to run your debt settlement vertical. With boberdoo you can segment all of your incoming leads on a source-by-source basis, giving you complete control of all of the leads you generate as well as those you purchase from a 3rd party. The boberdoo system also comes equipped with everything from a form builder to live transfer and voice to data features. No matter what your needs are, we would be happy to work with you to determine exactly how boberdoo can help your business increase efficiency and revenue. Give us a call at 800-776-5646. Our company builds lead distribution software for lead generation companies. We also have a few other services such as leadQC. We DO NOT SELL debt settlement leads. If you are looking to purchase leads, please submit an inquiry and tell us who your current suppliers are and we can make introductions to boberdoo clients in that vertical.